Book your surf lessons in Jensen Beach today! 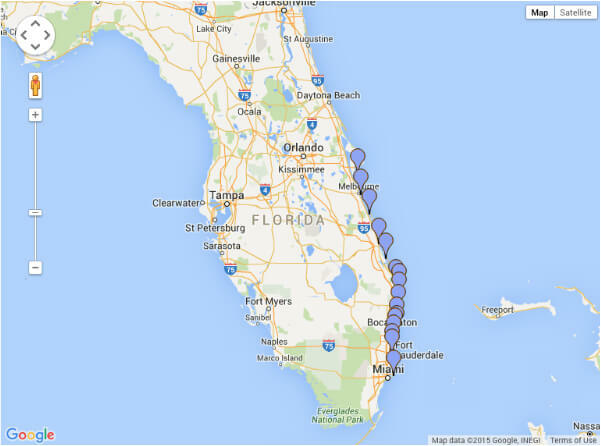 Jensen Beach is in Martin County Florida at the South end of Hutchinson Island. Located in Central Florida, 15 miles South of Fort Pierce and 28 miles North of Jupiter. Jensen Beach has a few surf spots to choose from. It all depends on where the sand bar is on any given day. Gift Certificates are available for surf lessons in Jensen Beach FL.